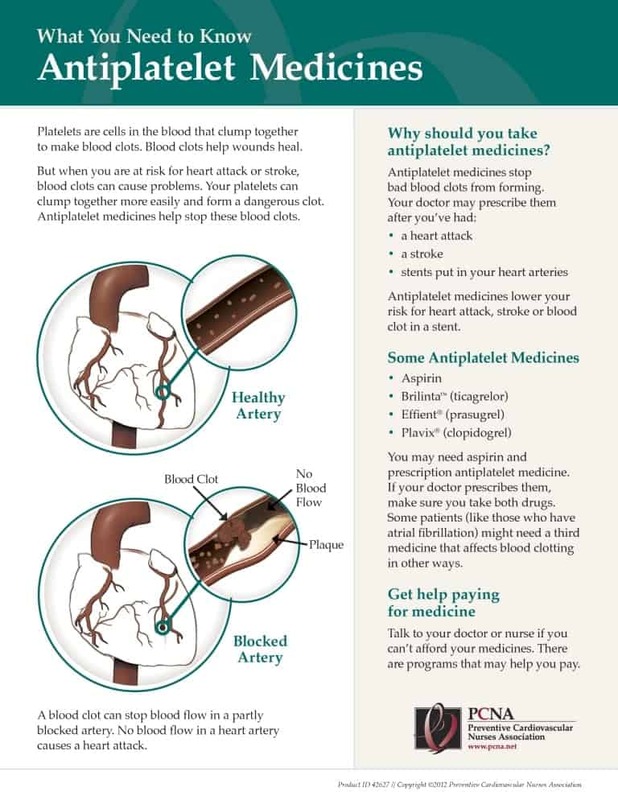 The Preventive Cardiovascular Nurses Association has developed these Antiplatelet Therapy handouts for nurses and other health care providers to use with patients. Join as a member today to take advantage of member pricing. The Preventive Cardiovascular Nurses Association has developed a fact sheet to support your efforts to educate patients and caregivers about antiplatelet therapy.